Designing for print requires a different sensitivity to designing for web. There is a greater flexibility for imagery to dominate over text. 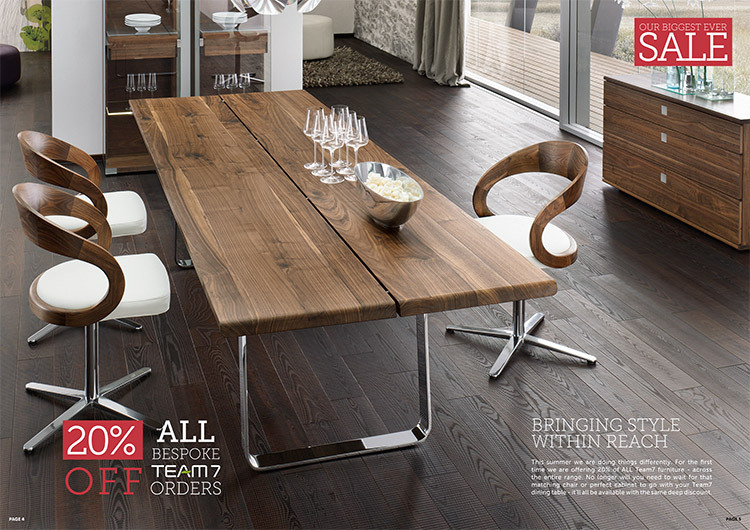 Our brochures for Wharfside reflect this, as in this example spread which lets the table do the talking. Whether you are looking for an advert to be designed for a magazine, a bus, the Tube, or a flyer for a special event, we have the skills and experience to accommodate you. 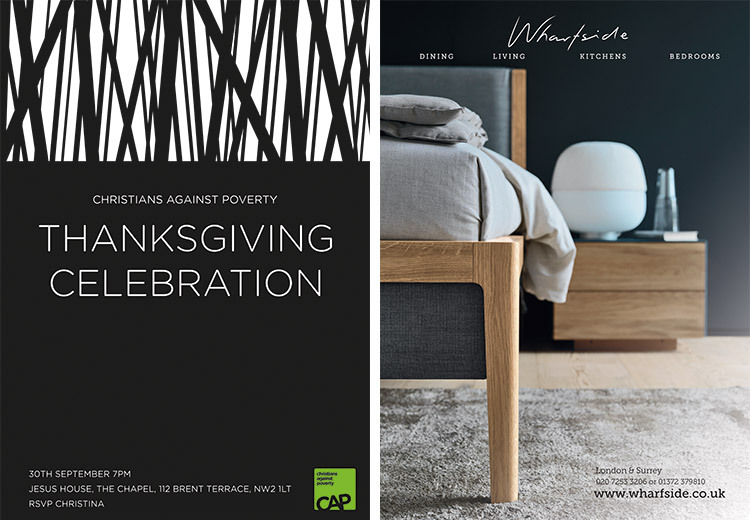 Likewise, we have been designing posters and banners for a variety of functions - even designing graphics for exhibition stands. Design is not limited to paper. It can be on clothing or used for vehicle livery. All of which we have designed for.